From what I've learned, Etihad is actually renovating the old first and business class lounge at Terminal 3 Abu Dhabi Airport which will reopen and be exclusive for First Class and The Residence passengers. It was supposed to open last April but apparently, it is taking a longer time than expected. 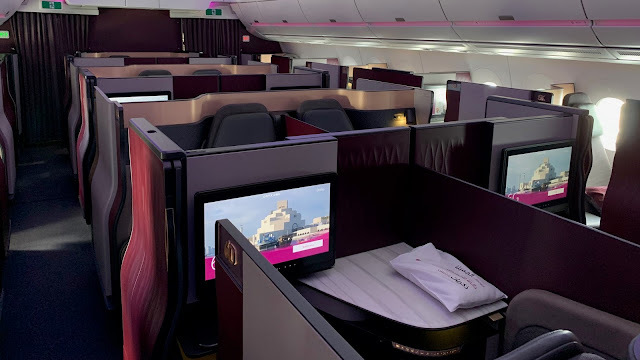 During our visit here last month, we were informed by the receptionist that they do have a dedicated area for first class passengers and that we were free to use it. I thought that it was a small area considering that Platinum members on Etihad guest program have also access to it plus a guest. The buffet, ala carte dining, business center, etc are all located in the business class lounge so there is not much difference. Hopefully the new lounge would open soon to meet the demand of first class passengers as they have just started the A380 service to Sydney last June 1 and is planning to fly to JFK also with the A380 in December.